We are totally committed to providing our customers with industry leading services and tailored solutions and ensuring that quality from start to project end is upheld. We employ and subcontract only the most professional people from relevant domains through a through and diligent vetting process thus ensuring the highest standards telegraph down through our ranks to the client interface. We recognise that time is precious and by safeguarding our offering of the highest quality services and solutions we can minimise down time and maximise profitability for our client. Lastly, we carefully build the foundations and invest in long-term benefits and closely monitor cooperative relationships with clients, our strategic suppliers and subcontractors. This ethic and ethos continues to prove core to our beliefs, long term goals and proven history. We believe that this mind-set is the cornerstone to our current and future client relationships which help us to improve our processes, to further streamline the supply chain, and to improve the quality of every services and solutions down to the smallest element. It is the policy of Ventus Marine Services to conduct business in a responsible and lawful manner with respect for the wider economic, social and environmental impacts of our activities and throughout all aspects of our vessel and shore operations. We strive to comply with all other relevant legislation relating with the provision and maintenance of a healthy and safe working environment and we continue to promote the same principles in our relationships with customers, suppliers and other business partners. We conduct our vessel operations and business activities in a manner that protects the health & safety of our employees working under our control and supervision. Our aims and objectives are to achieve zero accidents through establishing a strong safety culture at all levels within our organisation, promote continual improvement in OH&S Management and performance and to ensure appropriate safety equipment and training is available for all employees and to ensure their competence to work safely. Ventus Marine Services recognises and accepts its duty to protect the health and safety of all visitors to the company, including contractors, temporary workers and any members of the public who might be affected by our operations. It is also the responsibility of every employee and contractor to work with care and to observe the job, departmental and factory safety rules and report to their immediate supervisor any near miss, dangerous occurrence or hazardous condition they may experience or discover. Constant vigilance is necessary to ensure that safety awareness is maintained. This policy will be continually monitored and updated, particularly when changes in the scale or nature of operations occur. Formal reviews will take place at least every 12 months or in the event of a change of management, premises, business goals, law and/or an occurrence of a major incident. Ventus Marine Services is committed to reducing the impacts of our vessel operations and business activities on the environment through the mitigation of natural resource depletion and pollution. Working towards a continual drive to reduce air emissions; responsible use and disposal of resources and prevention of damage to the marine environment caused by our vessels. Ventus Marine Services recognises and accepts that concern for the environment is an integral and fundamental part of the Company's corporate business strategy. 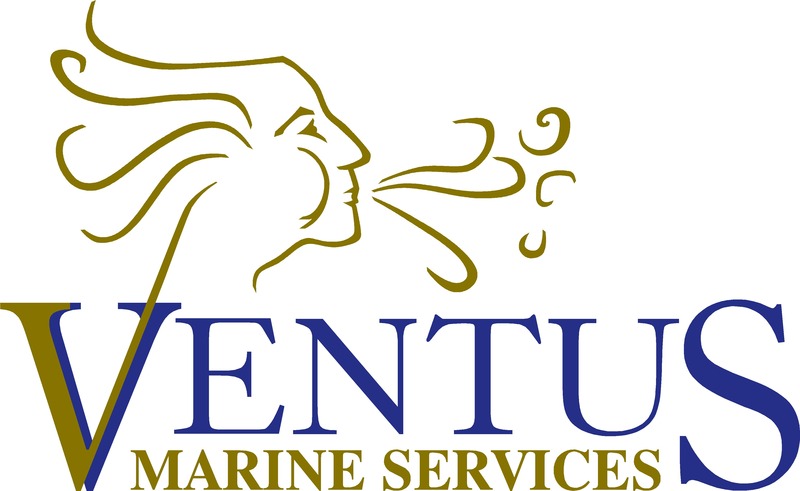 Ventus Marine Services actively controls and monitors the effects of its operational activities on the environment and strive for continual improvement in its environmental performance through a series of proactive policies. The company operates an environmental management system, based upon the requirements of BS EN ISO 14001: 2004. Local environmental regulations applicable to the area of operations. Ventus Marine Services conducts all of its activities in such a way so as to minimise any potential adverse effects of its operations on the environment. We aim to minimise, wherever possible, the use of natural resources and will adopt a strict Waste Management Policy to reduce, reuse or recycle waste that is produced and arrange for the disposal of other waste in a responsible manner. Establish and maintain auditable, environmentally sound working procedures and practices throughout its operations. Prevent damage to protected wildlife species and habitats. Avoid noise emissions that could create a Statutory Nuisance. Store and use oil, fuels and chemicals to minimum standards that comply with the Environmental Agencies Pollution guidelines. Provide any available environmental information on the contracted operations/services, at the request of the nominated representative. Maintain all plant and equipment in a safe and environmentally sound condition.